 Basic services of licensed professional staff, Vermont Medical Examiner Fee, use of refrigeration, necessary authorizations, cremation fee and Vermont burial permit, transfer of remains from any of the zones listed here; some zones have additional fees, 24 hours a day, 7 days a week. If you want to arrange a direct cremation, you can use an alternative container. Alternative containers encase the body and can be made of materials like fiberboard or composition materials (with or without an outside covering). The container we provide is a corrugated cardboard container which is already included in our direct cremation charge. You can view other urns online. Our basic offering. This package includes all of the items required for a direct cremation as explained above. A dignified and affordable tribute to those who personally served our nation. This package includes all the services in our direct cremation package along with a bronze veteran urn with branch of service insignia, arranging interment at a veterans or other cemetery, military honors including flag folding details, taps and rifle salute. This offering affords immediate family members the opportunity to say one last good bye to a loved one prior to cremation. This package includes all of the services in our direct cremation package plus a private viewing with an upgraded cremation container and floral spray. For those wishing to incorporate a meaningful service with cremation. This package includes all the services in our direct cremation package, along with cremation urn, use of facilities equipment and staff for a memorial service in our chapel or church, memorial package and all arrangement fees. Cremation is a personal and family decision. 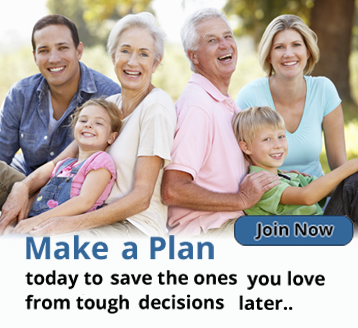 The reasons for selecting cremation are as varied as the families involved in the decision. ©Copyright 2019, Cremation Society of Vermont. All rights reserved.